Boil the chicken pieces along with salt and pepper, once boiled cut it into small pieces and keep aside. Spread the tomato sauce on the pizza base and then spread the boiled chicken pieces evenly on top of it. Now place the cheese strips all over the chicken pieces . 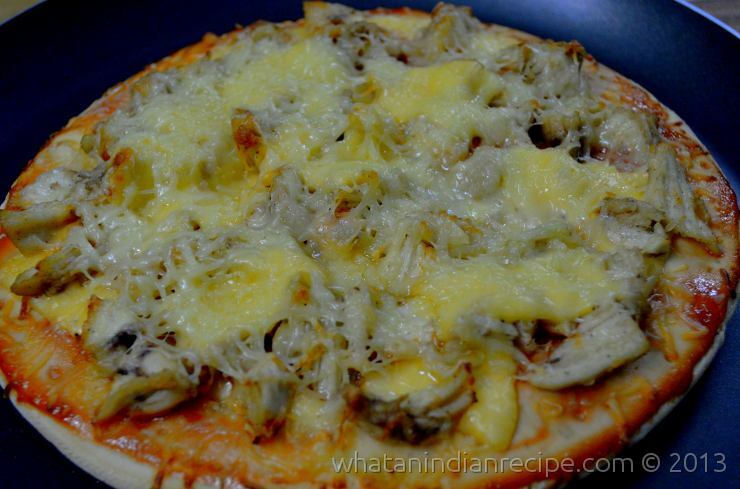 Finally spread the the grated pizza cheese on it to cover the chicken pieces.